Your teen has outgrown selling Girl Scout cookies or popcorn in front of the local hardware store, but that doesn’t mean they aren’t still trying to raise money for a good cause. Whether it’s a special charity, a church mission trip, 5K run or class trip, there are lots of creative ways for older children to reach their fundraising goals. Here are 30 ideas tailored just for high school students to get the creative juices (and cash!) flowing. 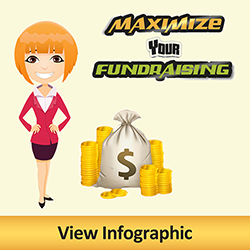 Give your fundraising efforts more punch by soliciting donations from friends, families and businesses to resell for your cause. Bonus points for giving a second life to gently used items — a frugal and green way to score some extra cash. "All Dressed Up" Sale: Gather donations of gently-used formal dresses, bow ties and outgrown suits to sell. Advertise at local high schools or youth centers before an upcoming dance. You could also do this with donated Halloween costumes in early October. Used Book Sale: Those books from childhood and middle school are ready for a new audience! Gather donations from friends and neighbors and host a book sale. Throw in some (carefully labeled) baked goods for an additional fundraising opportunity. Themed Emergency Kits: Solicit donations and be creative. For example, mommy kits that include diaper, wipes and pacifiers; first-aid kits that include bandages and ointment; first-time driver kits that include "how to jump a car" instructions, jumper cables and local emergency numbers; and a light's out kit that includes candles, matches, a water bottle and batteries. Pack in a plastic shoebox for resale. Memorabilia Sale: Gather gently used school or team T-shirts, chair cushions, jackets or other memorabilia and set up a resale shop at a sporting event. Photo Books: An especially great idea for a sports team, school club or youth group. Gather your best photos into a well-organized photo book, take orders and price your book to cover costs and help reach your fundraising goal. Yard Sale: Most people are happy to give away that bag of clothes/toys/household items sitting in the closet waiting to be taken to charity. Gather donations for a Saturday morning of money making. For added revenue, sell coffee and breakfast items for the early-morning crowd. Holiday Helper: Services such as childcare for holiday shopping, pet sitting, light household cleaning, party set up and food service are desirable for those needing an extra set of hands at the holidays. Easy Cash Raffle: Have people donate a dollar (or $5) as they come in the door and give them a raffle ticket with an incentive of winning half the money upon drawing. Often called a 50/50 Raffle. High-schoolers are more capable and competent in the kitchen than when they were younger, opening up a range of possibilities when it comes to fundraising with a culinary bent. Casserole Sale: Keep the offerings simple by giving volunteers the same recipe to assemble and then sell the casseroles frozen in a disposable aluminum pan. Ideas include a large casserole of mac and cheese, vegetarian lasagna or enchiladas. Make sure to include ingredients and baking instructions on top. Genius Idea: Gather pre-orders with an online sign up so you know exactly how many to make! Dinner and a Concert: If there is creative talent in the group, put together a dinner theater or boxed dinner from a local restaurant and hold a concert to raise funds. Food Truck: Contact food truck franchises and ask if they are willing to donate a portion of the evening's sales. Another option: Create your own version of a food truck by selling simple sandwiches like grilled cheese — with add-ons like meat or veggies — or walking tacos. Pre-event Coffee: Round up several Keurig machines or buy some pre-made carafes of coffee and sell cups at an event — or anywhere there is a crowd of coffee lovers. If you are an early riser, how about selling coffee to drive-up customers on Black Friday? A new twist on the lemonade stand! Mason Jar Mixes: Sell these as a fundraiser during the holidays and buyers have an instant gift for teachers, neighbors and co-workers. Fill with items like cookie mixes or homemade taco seasoning mix. Back-to-school jars could have erasers, hand sanitizers or mints. Go Gourmet: Gourmet cupcakes are very popular, and if you like to bake, they can also be an easy fundraiser. Take orders and deliver to a parent's work, school or event. Also popular are gourmet lollipops or gourmet flavored popcorn before a sporting or school event. Mini Farmer's Market: Buy a bulk amount of fruit and sell at a sporting event, school event or other function for a fresh take on the bake sale. Cook-off Event: Look through Mom's cookbook and set up a chili cook-off, best cheese dip contest or dessert bake-off. Money can be raised through entry fees, selling samples and additional concession items. Everybody Loves Donuts: Buy glazed donuts from a local bakery in bulk and sell before class, Sunday school or a local 5K. It's hard to eat just one! Get creative by thinking of your teen’s favorite activities — and how they can be leveraged to do good. Some ideas from when they were younger can be repurposed as well. Parent/Teen Dance: Many communities host a Daddy/Daughter Dance. Why let the youngsters have all the fun? Host a dance for Young Men/Mom or Young Ladies/Dads and let the dance party begin! Offer donated prizes for "Best Dance Move," "Same Laugh" or "Look Alike" contests. Sports Tournament: This will take a little more time and organization, but if you set up a tournament of ultimate Frisbee, three-on-three basketball or other simple sports competitions, you could start a fundraising tradition for a yearly trip. 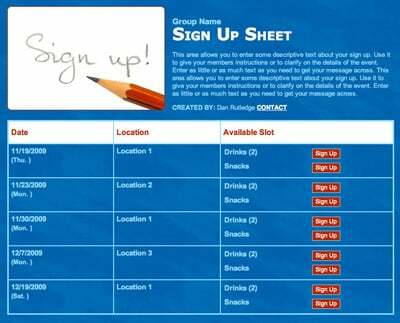 Genius Idea: Organize registration with online sign ups. Send in the Flock: Pink Flamingos, anyone? Maybe you have heard of this one, but it can be a fun way to raise money. Have people pay to send a flock of plastic flamingos to a friend, neighbor or family member’s yard after dark. An alternative would be to send in the flock and have the “victim” pay students to remove them. It’s all in good fun, of course. Smartphone Camp: If you are a tech wizard, advertise that you are raising money by holding a two-hour smartphone camp to help users get familiar with some of the most common phone apps. Also introduce lesser-known apps like driving/traffic help, grocery coupon finders, store sale alerts and photo-editing apps. Custom T-shirt or Bracelets: Interesting and unique items are a hot ticket, so find someone who will print and produce your item in bulk for a discounted price and get your design juices flowing. Stadium Helpers: Often groups can raise funds by helping at a local sports stadium with a concession stand and receiving a portion of the proceeds. Since games are usually on weekends, this tends to work well with a high-schooler's schedule. Neighborhood or Community Pet Pageant: For a small entry fee, participants dress up their pet to compete in a beauty pageant and have local businesses donate pet supplies for prizes. Combine with a concession stand or pet-themed craft booth. "A Taste of Home" Care Packages: Advertise this fundraiser to the parents of college students, military personnel or other folks with far-from-home family. Assemble care packages — the price should include shipping — with low-cost, local, easy-to-mail items. Dancing with the Teens: Use the school or church gym and sell tickets for dance lessons (there might be some line dance experts in your midst!) for couples. Also include an hour or two of childcare in the ticket price, and it's the makings of a great night out! "Bonjour" Means "Hello": Need to raise funds for an overseas trip? Put those basic foreign language skills to use and raise money by hosting a mini-language workshop for younger students, including vocabulary games, simple language-learning songs and culture-specific foods. Sports Team Tattoos: Get permission to set up a face painting or water-transferred tattoo booth at a local sporting event, order in bulk and tell fans your fundraising goals while soliciting donations. DIY Coasters: If you are raising money for a trip, cut squares from a map of your destination or exotic-looking scrapbook paper, adhere to some inexpensive tile using spray adhesive and seal with a waterproof sealer. Bundle in fours with cute twine and sell. Big Game Fundraising Party: Host a house party centered around a sporting event and tell guests that you will be using the evening to raise money by charging an entry fee for game watching and light refreshments. Have a donation jar set out for those who would like to give more. Want to up the ante? Reserve space in a gymnasium and broadcast the game on a big screen! Your most successful fundraising efforts will come from choosing an idea that you can get excited about. That enthusiasm will work wonders to inspire others to get in your corner. Happy fundraising! Raise Money Like a Pro!